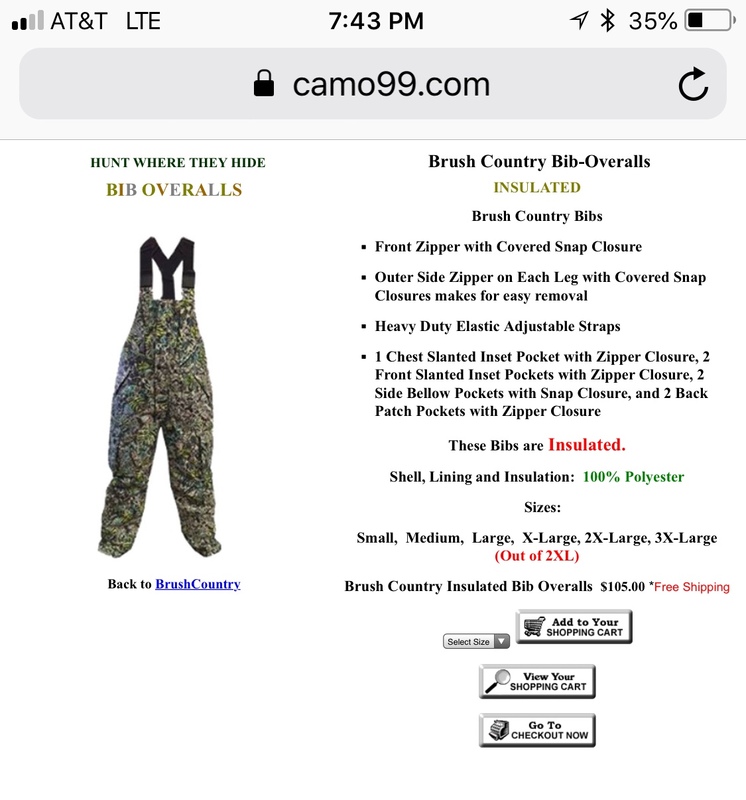 I used to just layer up, and throw on rain gear if I'm getting rained on or taking spray from the waves...but it seems a decent set of bibs or coveralls may be a better option. I looked at a few at Cabela's, and I was shocked at the $300-400 price tag. They were guide wear with goretex, and seemed a little more fancy than needed...but still, they were expensive. Those of you who wear them - are you wearing anything other than the old school Grunden style? Anything more breathable and maybe with a few pockets? Any input on the H2O Express 'softshell' from Academy at $99? Just looking to add a pair to the boat for the winter time trips. $90 Grundens and layers under. Check out the military surplus parkas and pants. I don't think they have bibs, they are great and rugged. They also have Gore-Tex, which IMO, is the only way to go for rain gear, period, but especially in the winter. Summer they breathe, which is important, but in the winter/cold getting wet can be deadly, so why chance it. I found Grade I-New stuff. The parka and pants total was about $200. Pretty good value for new Gore-Tex mil-spec rain gear I thought. I have the academy h20 bibs. and they work just fine. caught themon sale last year and still doing good. a lil too warm for summer time but great for winter. I may get the jacket to match. in texas? grundens summer weight, and a good rain top, but you won't need the top but for heavy rain or late night cold temp running... fishing will keep you warm in shorts and grundies summer weights. Check ebay for great pricing.